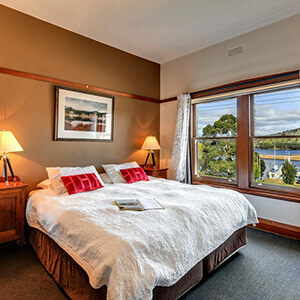 Browse our large range of accommodation options in Hobart and surrounding suburbs, Richmond and the Coal River Valley, Port Arthur and the Tasman Peninsula, the Huon Valley and Bruny Island. 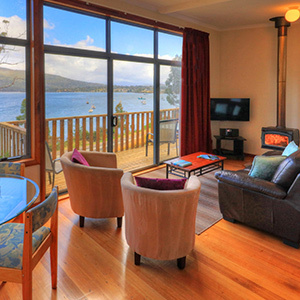 Select your preferred Hobart accommodation and let us customise a self-drive holiday package for you. 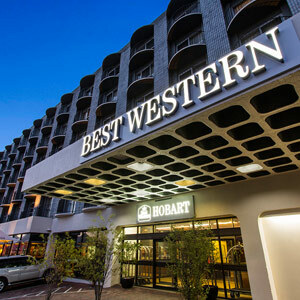 Best Western Hobart offers guests a warm friendly welcome. Located in the heart of Hobart, with shopping, cafés, markets and the waterfront, all within an easy walk. Enjoy city or mountain views from the balcony of your spacious guest room. 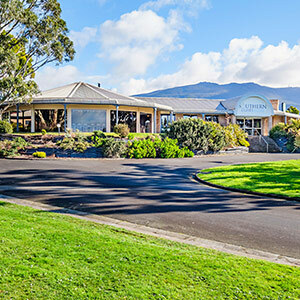 Embers licensed restaurant features hot buffet breakfasts, gourmet wood-fired pizzas, fresh Tasmanian produce cooked on the char-grill and daily happy hour with free canapés. Luxury pillow-top beds will ensure you have a restful sleep. TasVacations Bonus: Stay 4 nights and only pay for 3. Valid for travel 01.05.19 - 30.09.19. Situated in quiet restful gardens, this accommodation consists of beautifully maintained 1, 2 and 3 bedroom self-contained apartments and spa apartments all with completely separate bedrooms. 800 metres from North Hobart’s restaurant and café culture. A brilliant Hobart base from which to discover the island. 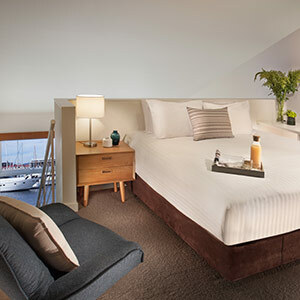 TasVacations Bonus: Stay 2 nights in a 1 Bedroom Executive Spa Apartment & receive a complimentary bottle of wine. 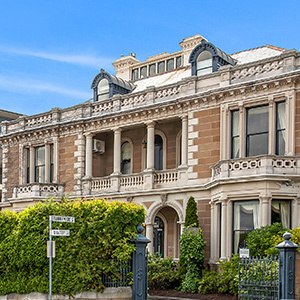 Hadley’s Orient Hotel, affectionately known as the Grand Old Dame of Hobart, has nestled in the heart of this vibrant city and in the fond memories of many a guest for over 180 years. Hadley’s was originally built by convict labour in 1834. The charming venue boasts 71 elegantly styled accommodation suites, is home to the distinguished Mary Hadley Room, celebrated Orient Bar, and renowned traditional Afternoon Tea Experience. TasVacations Bonus: Stay a minimum of 5 consecutive nights and receive the 5th night free. Valid for travel between 01.05.19 - 31.08.19. Conditions apply. 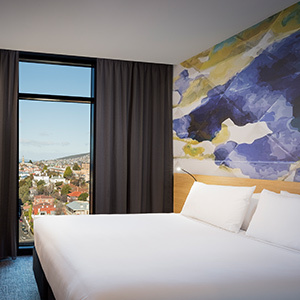 Located in the heart of Hobart, with breathtaking views of the River Derwent and Mount Wellington, the Hotel Grand Chancellor offers convenience and luxury. With 244 spacious rooms, 24 hour reception and room service, restaurant, lounge bar, pool and gym the Hotel Grand Chancellor offers the ultimate in waterfront luxury. 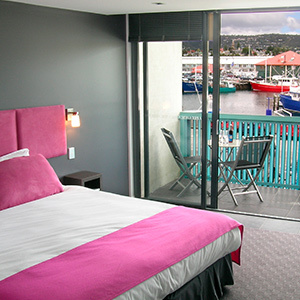 ibis Styles Hobart is Tasmania's largest hotel centrally located in the vibrant Hobart CBD. The hotel has 296 rooms, a fitness centre, indoor swimming pool, basement parking (limited) and a restaurant featuring Asian street food with a cheeky modern twist. This playful design hotel is centrally located and just a short walk from the famous Salamanca Market. Lenna of Hobart is not just a place to rest your head, it’s an experience. Located a stones throw from Salamanca Place, Hobart waterfront, Battery Point, walking distance to the CBD, Mona ferry. A separate accommodation wing features modern rooms offering mountain, river or park views. Nearby attractions: Mona, Mount Wellington, Richmond, Port Arthur, Tasman Peninsula, Huon Valley. TasVacations Bonus: Stay a minimum of 3 consecutive nights and receive $50 Lenna Dollars (Redeemable on food and beverage at the property, excludes minibar). Valid for travel between 01.05.19 - 20.09.19. This is a storytelling hotel and centrally located with gorgeous views of the Derwent River from its luxurious waterfront rooms and suites. 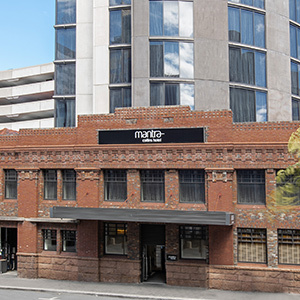 Mantra Collins Hotel is one of Hobart's most popular hotels due to its central location and historic charm. 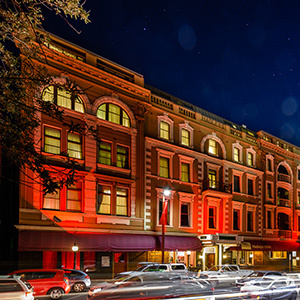 Situated just two streets back from the Hobart CBD, the hotel is within a short stroll of Salamanca Place where decadent restaurants, fresh gourmet producers and boutique stores line the waterfront. Motel 429 is situated on latitude 42.9 degrees south. The property’s unique position is in the quiet suburb of Sandy Bay overlooking the Derwent River and opposite Wrest Point Casino making Motel 429 an ideal stay for the corporate or leisure traveller. The motel is just minutes away from the University of Tasmania and Hobart’s premier yacht clubs. 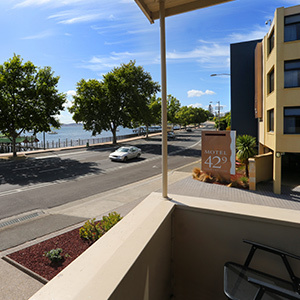 From Motel 429 it is a short drive to the Hobart CBD, Salamanca and the docks where you will find great shopping, waterfront cafes, the famous Salamanca Market and the ferry terminal for MONA. Located in Salamanca on Hobart’s historic waterfront and just a 30 second walk to the famous market. Superb spacious suites, 24 hour reception, free parking, restaurant, bar and a heated indoor pool. Relax in the ideal location. 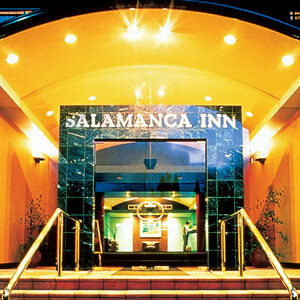 Salamanca Suites is ideally located on the eastern end of Salamanca Place, home to the famous Salamanca Market and very close to a fabulous selection of Hobart’s restaurants, bars and galleries. 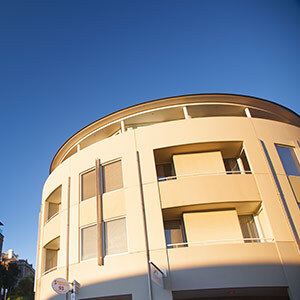 Easy walking distance to waterfront, Mona ferry, historic Battery Point and CBD, Salamanca Suites offers 18 spacious apartments each with its own balcony or courtyard. 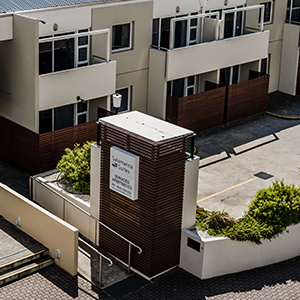 Salamanca Terraces offers self-contained and fully serviced accommodation located right on Salamanca Place in the picturesque and historic Sullivan’s Cove waterfront precinct of Hobart. 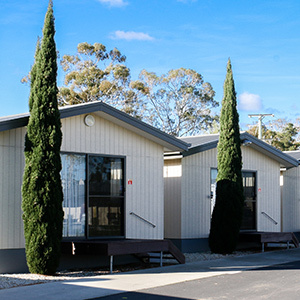 Guests have full access to facilities offered by Lenna of Hobart just across the road. Housed in a conversion of a 1930s pier building, award-winning Somerset on the Pier is the epitome of old world charm mixed with contemporary style. Offering a welcome alternative to a hotel, Somerset offers 56 one bedroom and family apartments with complimentary WiFi, fully-equipped kitchenettes, contemporary décor; and a loft-style design exuding space and comfort. 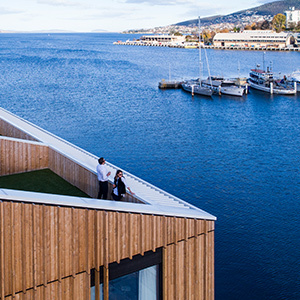 Hobart’s finest collection of self-contained apartment accommodation with over 50 apartments across five different locations in Hobart’s vibrant waterfront district. Hand-picked boutique apartments, ranging from 1 to 4 bedrooms, each selected for their location, convenience and five-star facilities. TasVacations Bonus: All bookings receive complimentary car parking. Valid for one vehicle per booking. 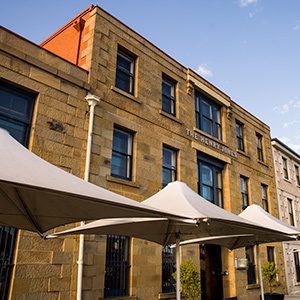 Hobart’s oldest waterfront warehouses transformed as Australia’s first dedicated art hotel, located in historic Hunter Street precinct. The hotel blends modernity with an industrial past with decadent elliptical spas bubble and blackwood-lined boardrooms refashioned into stately, indulgent suites. Gracious heritage accommodation, c1829 Georgian mansion built by convicts. Antique furnishings with ambience and opulence of a grand manor. All rooms have ensuites, with the larger more luxurious rooms featuring spas. Located just a short stroll to Hobart CBD or North Hobart gourmet restaurants. A hearty buffet continental breakfast is included. TasVacations Bonus: Complimentary port wine, tea, coffee, biscuits, hot chocolate and marshmallows in guest lounge. 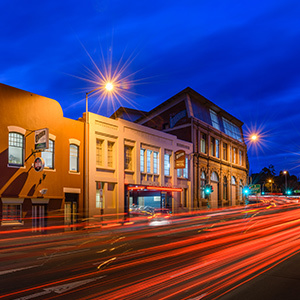 The Old Woolstore Apartment Hotel is renowned for spacious rooms and friendly hospitality. 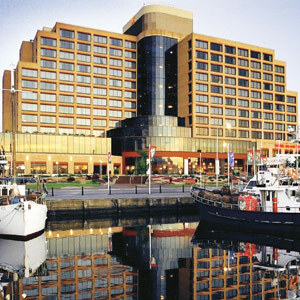 The hotel is centrally located within a stone’s throw of the city centre and one block from Hobart’s waterfront. 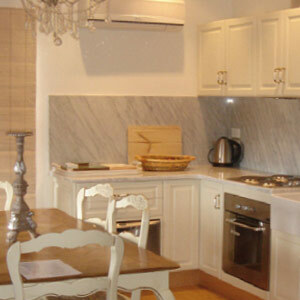 Accommodation consists of a unique choice of fully serviced apartments and hotel rooms. A comprehensive range of business, conference and meeting services are on offer complimented by Stockmans Restaurant and the Baaa Bar. All rates include a full hot buffet breakfast per person daily and free WiFi. 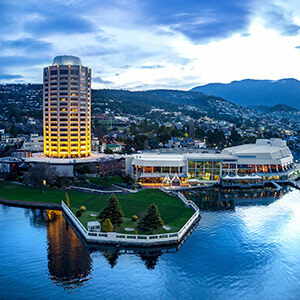 Experience an absolute Hobart waterfront destination at Wrest Point; with spectacular river and mountain views, fantastic dining experiences - including a must do Hobart experience, The Point Revolving Restaurant, and Kwan Ho Restaurant, Chinese cuisine brought to you by Me Wah. Rates include free In-Room WiFi, car parking and morning newspaper. For Hobart accommodation in an amazing location, great service and quality food and wine, look no further than Wrest Point. TasVacations Bonus: Stay 3 consecutive nights or more in a Deluxe Room or Suite and receive a $50 food and beverage voucher. Terms & conditions apply. Valid for travel 01.04.19 - 30.09.19. Relax and unwind by the water’s edge. 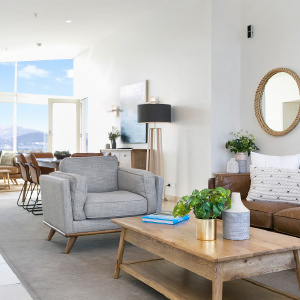 Located on Hobart’s picturesque waterfront, the property offers the ultimate in contemporary and luxurious self-contained studios, 2 and 3 bedroom apartments, Salamanca and CBD are a short stroll away. All Cabins are air-conditioned and have well equipped kitchenettes with stove top, microwave and refrigerator. Each cabin has a living room with an LCD TV. The single beds and bunk beds are full size. Just a 4 minute drive from Hobart Airport. 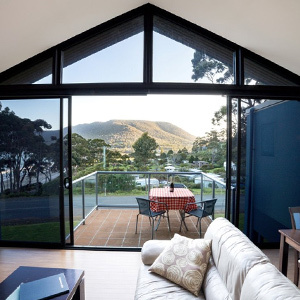 Multi award-winning Bruny Island Escapes offer a range of self-contained accommodation options across the island from studios to two bedroom villas. 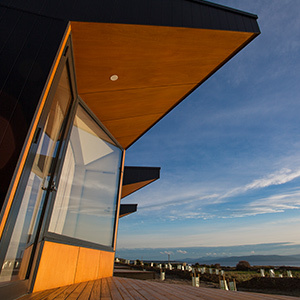 Their newest property, Bruny Island Lodge, offers deluxe rooms, each with a private deck with stunning views over the D'Entrecasteaux Channel. 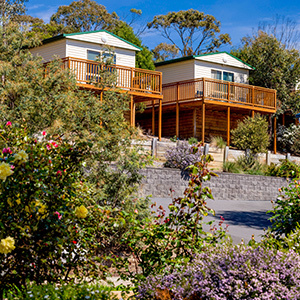 The perfect family holiday accommodation awaits you at Discovery Parks – Hobart. One of Australia’s most beautiful cities, Hobart is nestled on the Derwent River with Mount Wellington as an unforgettable backdrop. Set on the picturesque Port Esperance Bay in Dover, Driftwood Cottages offers quality self-catering accommodation with spectacular views over the bay and mountains, and all within a few steps of town facilities, wharf and serene beaches. Choose from beautifully equipped studio, two and three bedroom cottages, all fully self-contained and designed to make the most of the magical vistas. 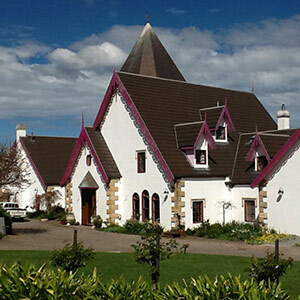 Richmond accommodation perfect for couples and families in a large Gothic revival manor house on a 100 acre working farm. Feed the friendly Clydesdale horses and alpacas. With fully licensed restaurant, ensuite rooms with kitchenettes and four poster beds. 20 minute drive to Hobart and 1 hour to historic Port Arthur. One night's stay won't be long enough. 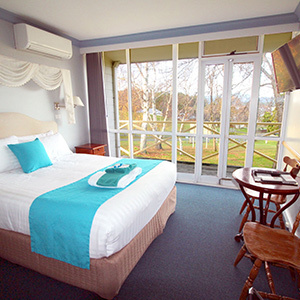 An elegant, renovated old world hotel in the heart of the Huon Valley, right on the Huon River! Featuring cosy ensuite rooms for singles, couples and families. Quality restaurant, charming bar and lounge with fireplace onsite. It's the perfect place to relax and recharge during your holiday. Close to Tahune, Bruny Island, Hastings and Dover. TasVacations Bonus: Kids under 12 eat free. Eaglehawk Neck’s Lufra, overlooking Pirates Bay, is said to have ‘the best coastal view in the world’. Premium 2 bedroom luxury spa apartments through to Premium Hotel accommodation options, excellent dining with local seafood and best fresh produce, with full bar and café facilities. TasVacations Bonus: Stay two nights for complimentary continental breakfast for one morning. Honeymooners receive a free bottle of sparkling wine with your restaurant meal. 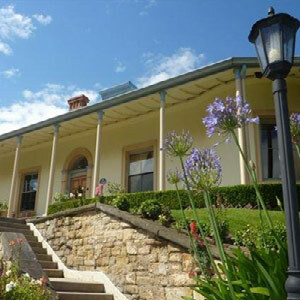 Situated within the Heritage Listed Port Arthur Historic Site, walk to day or night tours. The restaurant enjoys breathtaking views over the Historic Site. Dine in, enjoy the view then walk through the private Historic Site access to your Ghost Tour. Fresh seafood is their speciality. 7 exclusive self-contained French Provincial cottages on a private estate. Set amongst award-winning vineyard and olive grove, with panoramic water and rolling countryside views. Feather pillows, mohair rugs and CD/book library. Families welcome. Overlooking Kingston, only 10 minutes drive from Hobart CBD and at the gateway of the Huon Valley and D'Entrecasteaux Channel. 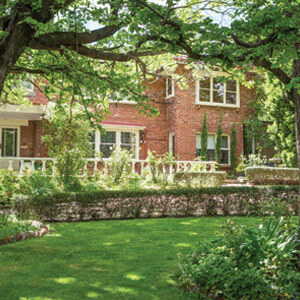 The property has stunning views of Kingston and River Derwent. The award-winning hotel offers stylish contemporary motel rooms of multiple configurations. Popular on-site restaurant, café, bar and conference facilities. Luxury award-winning accommodation in a very central location, just 200m to restaurants and shops. Three large comfortable queen size ensuited rooms via a dedicated guest entrance which ensures your privacy. Enjoy a freshly prepared gourmet continental breakfast in the central guest dining area. 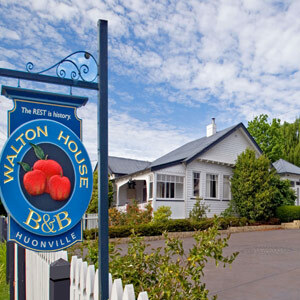 TasVacations Bonus: One free cooked breakfast per guest on bookings of three nights or more all year round.